The Background The online advertisement market has become more and more challenging: low click-through rates for display banners, standard ad placements are solely clicked about 1 time per 1,000 page views, advertisers cannot reach or engage with their target audience, ROI goals at reasonable costs levels are hard to achieve and so on. The solution are high-engaging digital videos - programmatically delivered as sticky video ads which can boost user engagement dramatically. The Partners evania video, a Berlin-based fast-growing adtech company, focuses on providing publishers and sales houses with a proprietary and complete programmatic video advertising solution. Main Capital is a private equity and Mezzanine Capital investor with an exclusive focus on the software sector in the Benelux and DACH area. The Perspective With the help of the strategic partner Main Capital, evania video will further expand its business internationally. Furthermore the company’s offering will be strengthened and diversified. Although immediate changes in the current business are not to be expected, MCP will support evania video to continue broadening the solutions, services and markets of evania video. What the advertising industry can learn from Netflix. 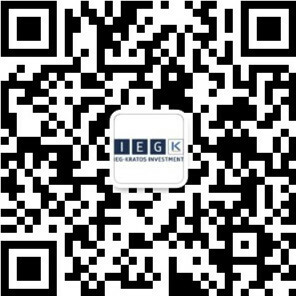 IEG has proven a perfect partner of great competence throughout the entire transaction process. Without IEG there would not have been a deal.